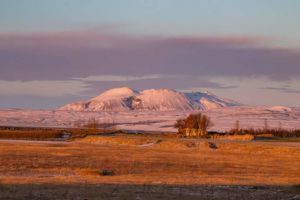 If Iceland isn’t already on your list, then Make a Bucket List are here to tell you why it should be. 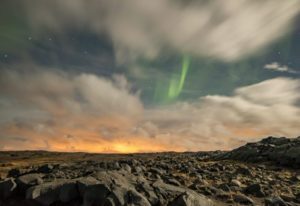 This beautiful volcanic island with the chance of seeing a natural phenomenon such at the Northern Lights, really is a must if you like to be wowed! 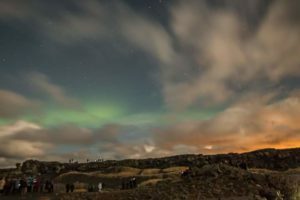 So let us give you our tips when it comes to exploring Iceland and the Northern Lights. First things first, what is it that’s drawing you to this beautiful place? Because they have two seasons which offer very different extremes. In winter you’ll not see much daylight and in summer it won’t really ever get dark. So if it’s exploring the fjords, volcanos and waterfalls, then ensure you choose a date with enough day light. But, if you’re wanting to attempt to see the natural phenomenon of the Northern Lights, then you’ll be looking for a time of year with enough darkness. We would recommend late autumn early winter, or early spring to make the most of this beautiful country and all it has to offer. 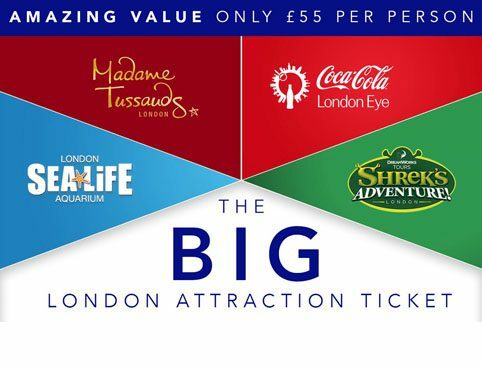 You can book this type of holiday in a package with Thomas Cook who offer short breaks, flights, transfers, bed and breakfast and two excursions. Or you can book independently and find everything yourself and tailor make your experience, with companies such as Trivago. 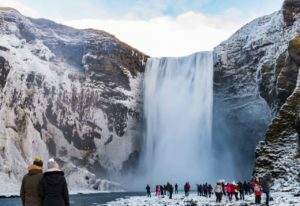 Some of these sites are grouped together on excursion packages like ‘The South Tour’, where you’ll see the Waterfall at Seljalandsfoss, the black sand beach at Reynisfjara and more. ‘The Golden Circle Tour’ includes the Geysirs geothermal activity, Gullfoss waterfalls and Thingvellir National Park. The Blue lagoon in Iceland is an absolute must, for a perfect relaxation afternoon or evening under the stars. You can bathe at temperatures up to 40°c and the water is full of minerals such as sulphur and silica, which are reputed to help heal skin diseases. Don’t forget to apply a silica mud mask from the silica bar in the lagoon, to your face and body. By letting it work its magic for 5 minutes and then soaking it off, you’ll reveal silky smooth skin. The Blue Lagoon operates a research and development facility, to help find cures for other skin ailments using its mineral-rich water. Reykjavik being the capital is the main place to stay, but there are resorts all around the island if you prefer to travel around. However if you do stay in the city we think there is a bit more exploring to do whilst you’re not on trips. The whale museum is an amazing experience, walking through a warehouse with the largest display of life size models in the world. You can also do whale watching boat trips, however these are only available in summer months from May to September. There is also Hallgrímskirkja the Church at the top of the town standing at 74.5 metres high. It’s one of the city’s main landmarks, being visible from nearly everywhere in the city. It was commissioned in 1937 and is said to be designed on the trap rock, mountain and glaciers of Iceland. A walk along the harbour front is a must to take in the glorious mountain back drop and along the way you will come across the beautiful Harpa building. Iceland’s opera house with its distinctive glass facade inspired by Iceland basalt landscapes. Iceland isn’t known for its cuisine, but we think it should be as the food is exceptional. It is known for being expensive, especially if you fancy an alcoholic beverage to accompany your meal. But we think once you’ve tasted the food you won’t mind the expense. If you’re after fast food your best choice would be a hotdog, available from smaller kiosks and petrol stations around the island. However if you have a little more time, they really do a perfect chicken sandwich which will melt in your mouth and is full of flavour. They also serve up the perfect stone baked pizzas at Eldsmiojan in Reykjavik, so with such a large choice of toppings so you’re bound to find one that takes your fancy. There are a few places that serves up the Icelandic speciality Hákarl – fermented shark. We have to be honest here, we haven’t quite picked up the courage to try this yet. So let us know on our Facebook page if you try it and we might pick up the courage! We think it’s the Aurora Borealis that draws everyone to this part of the world and they then discover the rest of the glory’s whilst here. However it is important to remember these are a natural phenomenon and as such they don’t appear every night. Most tours searching for the Aurora Borealis will offer to take you again if no lights are seen, so we would recommend to do thisearly on in your break to give you more time to repeat the trip if required. Some tours will take you to a set location, whereas others might drive around searching for them. We recommend following Aurora Services – Europe on Facebook or via their website, for information on how high the chance of seeing them is. It’s important to understand that what you can see with the bare eye is only half of what you can see when taking long exposures on a DSLR camera. While it is still amazing watching it move across the sky right before your eyes, the images that can be taken show just how glorious it really is. We hope this has inspired your next adventure and we here at Make a Bucket List look forward to hearing if you tried Hákarl.